If you’re having trouble making time for a good workout after work, fret not. 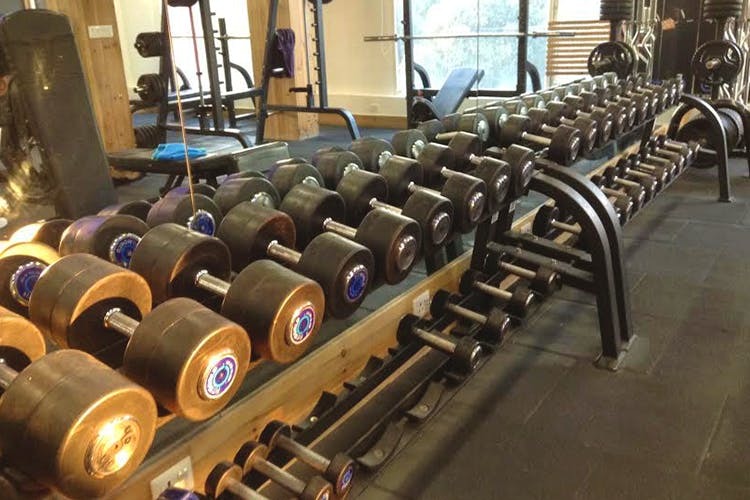 Fit world, an established gym in Vasant Vihar, runs 24 hours to meet all your fitness needs. Fit World offers a variety of services. If you’re a young working professional and don’t have the time to workout at “regular” hours, they keep their services open till late in to the night, so you can get a good activity plan in place. They have experienced instructors who focus on weight loss, toning and rehabilitation training. Their trainers vary from highly experienced to professionals participating in national sports across the country. Filled with a lot of expats, this gym was bustling even at three in the afternoon. With two floors to suit your fancy, it offers your regular round the clock training. Mostly their workouts focus on endurance and strength training based on one’s motor ability. The first step is always the introduction of the trainer, and then a special workout plan is devised, in accordance with the package the client has signed up for. Along with this you also get a diet plan. Basically it’s the perfect place to pamper yourself silly! Try Fit World for that fit look you’ve been aspiring for. We’ve seen people at the gym at 2am and we were pretty impressed with the quality these guys offer. They’re a little expensive, but it’s totally worth it. If your New Year resolution is to stay fit this year, they’re offering an annual workout package for INR 24,675. Go get in shape!